Venetian blinds inside double glazing units are a great and practical benefit to any commercial or residential property. The use of conventional coverings such as curtains or external blinds ruin the aesthetic look and style, especially in a UPVC double glazed unit. 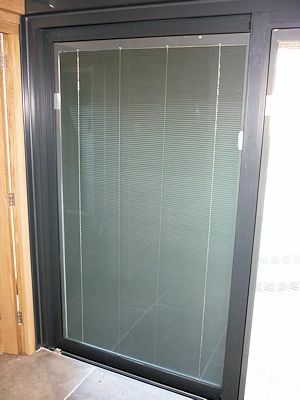 The use of an internal blind complements windows and doors, especially because of the added benefit of not needing cleaning as it is enclosed in the sealed unit. 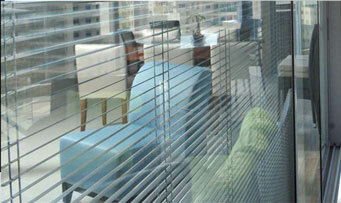 The Sunshade Blinds Venetian blind has been especially designed for use in double-glazed units. We manufacture our venetian blinds inside double glazing units to a high technical specification and production standards. We continually look for ways to offer our and your customers imaginative and innovative technical solutions to ensure products we sell. Without doubt, our venetian blinds inside double glazing units are one of those innovations. They are fitted into the glazed units of our doors, window and roof lights. The simple idea means that it brings the benefits of not encroaching on the aesthetic styling of the doors, window or roof light by allowing them to maintain their important design features. Why would you degrade the functionality of stylish windows and doors by fitting external curtains or blinds to such expensive products? It may be for the privacy element, but internal blinds solve this issue marvelously. An they require no cleaning because the blinds are inside the double glazed unit. By encasing the venetian blinds inside the airtight Argon gas filled sealed unit, dust can’t get in and build up on the blind. These are a great solution to the problem of fitting blinds and should be considered because they solve many issues and are not as expensive as you may think. Contact us or call 0800 310 12 22 to find out more about Venetian Blinds Inside Double Glazing Units.